Offering you a complete choice of products which include Safety Apparel such as Safety Jacket Suits, Anti Static Coverall, Blue Boiler Suits, Reflective Boiler Suits, Warehouse Coat and Safety Aprons. We are engaged in the business of manufacturing and exporting of a vast range of Safety Jacket Suits. Breathable and waterproof in their features, the whole range of the safety jackets and trousers offered by us is widely praised among the clientele we have reaped so far. 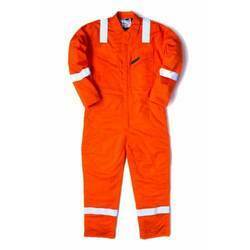 Furthermore, these offered safety apparels are made available in various colors and sizes. We are a credible name to offer an array of Reflective Boiler Suits. These are sewed on reflective industrial wash tape. Driven by the dedication to serve the requirements of our clients at prime, we make this offered range of boiler suits available in various sizes and colors. 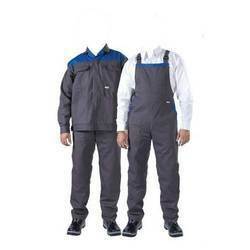 Moreover, known for their tear resistance, these boiler suits are highly acclaimed in the market. We are known for manufacturing and supplying a gamut of Safety Aprons that are widely demanded for its optimum quality. Neatly stitched, it is widely acknowledged among our huge client-base spread across the nation. 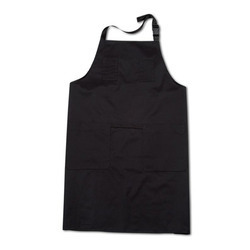 To meet the diverse requirements and demands of our clients, we make these offered aprons available in various colors. Further, we assure the optimum quality of the aprons offered. 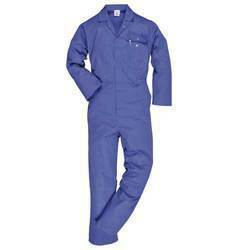 Enriched with a vast industry experience, we are able to manufacture an extensive range of Blue Boiler Suits. Owing to their durability, these are highly popular among our clients. Manufactured using supreme quality cotton and polyester, this offered range of boiler suits is assured of an utmost quality. Further, these offered suits are made available in various colors and sizes. We offer our clients Warehouse Coat that is made using premium quality polyester-cotton obtained from the trusted vendors we are associated to. Comfortable to wear, it has been a preferred choice of our clients over others. 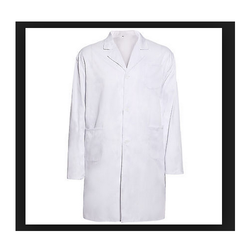 Known for its neat stitching and durability, the whole range of the warehouse coats offered by us is widely acclaimed among our respected clients.